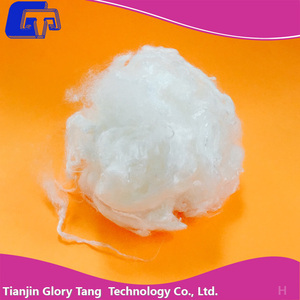 The main downstream application is rayon yarn and it ahs goos moisture, spinning and dyeability performances. We will reward you with our best quality and service and reputation for your preference and concern. 2. Q: Why is your product with a high price ratio9 A:We have got more than 25 years of manufacturing experience in this field. 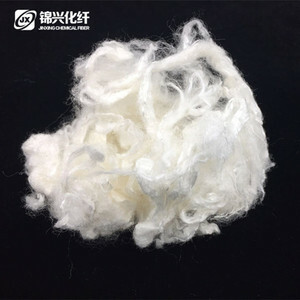 Flame Retardant Feature and Raw White Viscose rayon staple fiber 1.2D*38mm : Viscose staple fiber was discovered in 1891 by English scientists, Cross and Bevan. The first commercial production in America was opened in 1910 by the American Viscose Company and the fibre became known as viscose rayon, with other producers following suit. In the textile sector, Sateri's viscose staple fiber is used to improve comfort and appearance. 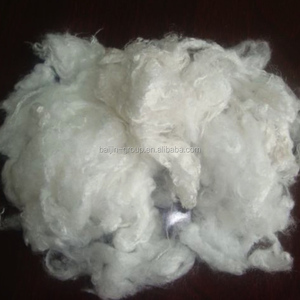 We are a professional and leading supplier of Viscose fiber, Straw pulp,bagasse Pulp,bamboo Pulp, Stone paper,our viscose fiber with good quality 100 % White Viscose Fiber (Substandard) &bull; Colour: White &bull; Specifications: &bull;Dtex: 1.70 upto 3.3 dtex aprox &bull; Lenght: normally, 38mm upto 60 mm &bull; Application: used for Spinning and Nonwoven or mixed with cotton (Cotton/Viscose yarn production) i) Information given are obtained from official laboratory ii) all parameters are approximate because its Substandard White Viscose Fiber and it must be used a referential information. 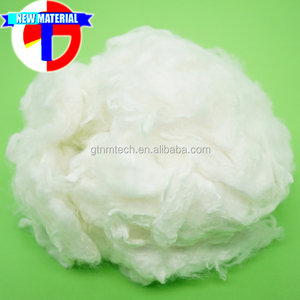 Shaoxing Shangyu Hanyuan Cellophane Industrial Co., Ltd.
Alibaba.com offers 340 viscose rayon staple fiber products. 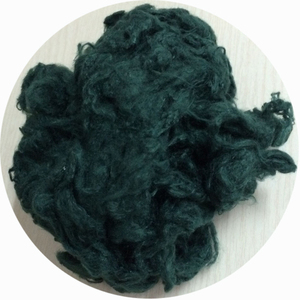 About 84% of these are staple fiber, 79% are viscose fiber, and 6% are synthetic fiber. 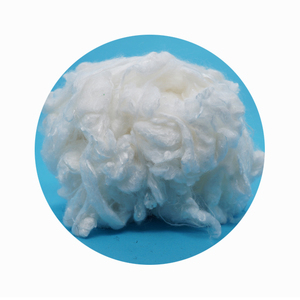 A wide variety of viscose rayon staple fiber options are available to you, such as spinning, non-woven fabric, and concrete. You can also choose from flame retardant, anti-bacteria, and abrasion-resistant. As well as from raw, dyed, and bleached. 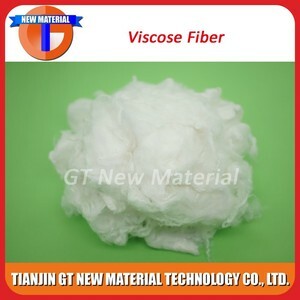 And whether viscose rayon staple fiber is 100% viscose, or 100% polyester. 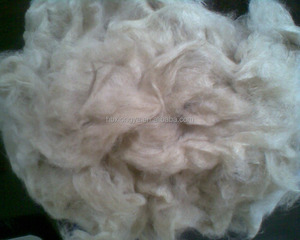 There are 330 viscose rayon staple fiber suppliers, mainly located in Asia. 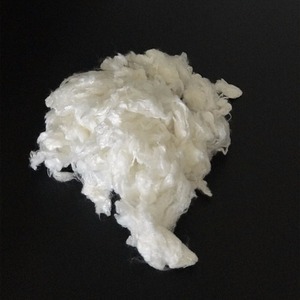 The top supplying countries are China (Mainland), India, and United Kingdom, which supply 98%, 1%, and 1% of viscose rayon staple fiber respectively. 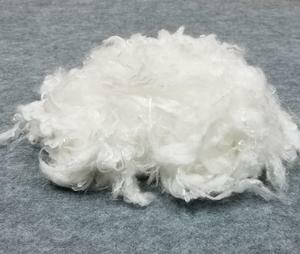 Viscose rayon staple fiber products are most popular in Eastern Europe, Mid East, and South America. You can ensure product safety by selecting from certified suppliers, including 11 with ISO9001, 8 with Other, and 2 with ISO14001 certification.